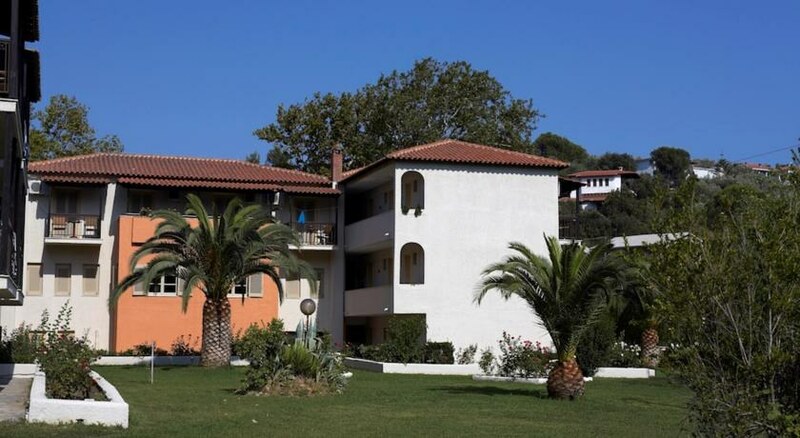 Located in the centre of Troulos, Astoria Hotel Skiathos is a family friendly boutique hotel in a laidback atmosphere in very convenient location, at 350 metres from the Troulos beach. The hotels facilities are completely refurbished keeping up with the modern trends and tastes. The hotel invites guests to enjoy a comfortable stay experience with a lovely outdoor pool and pool-bar, a reception with friendly staff offering a range of services and a comfortable lounge. Tastefully done up rooms decorated in soft tones create a relaxing atmosphere and are equipped with satellite TV, telephone, air conditioning, refrigerator and hair dryer. The Troulos beach is named after the dome-shaped Trolous Island. This fine beach is situated 9km off the Skiathos town, to the southern part of the Island. Kissed by the crystalline waters, the powdery white sand and the lovely pine trees that provide shade, It is a well- organized beach that has been awarded with a Blue Flag with lifeguard availability, umbrellas, sundecks and many other facilities. The scenic surroundings and the cleanliness and quality of the water make it a top draw for tourists. In addition, the beach can be easily reached by public transport. From the Astoria Hotel Skiathos, Troulos beach is just 350 m away with a good choice of water sports, cafes and beach bars. The main town of Skiathos is at 9 km. 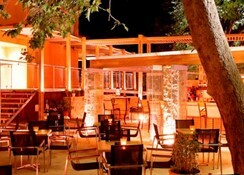 Distance to the Sunrise Taverna is barely 300m and the Skiathos Airport is located at a distance of 11km. Free private on-site parking is available. 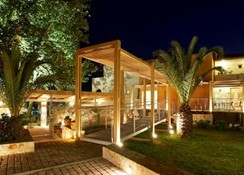 Astoria Hotel Skiathos offers a total of 44 rooms. Guests can choose from standard rooms, standard single rooms and family rooms. Tastefully done up rooms decorated in soft tones create a relaxing atmosphere and are equipped with satellite TV, telephone, air conditioning, refrigerator and hair dryer. Rooms have balconies providing magnificent sea views. Astoria Hotel Skiathos has an in-house restaurant and a pool bar where guests can relish sumptuous local and international cuisine and enjoy refreshing drinks. There are plenty of tavernas and shops right opposite the resort center, and a range of bars and restaurants are situated close by. 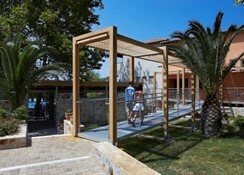 Astoria Hotel Skiathos has a swimming pool and terrace besides easy access to the beach. Sun beds are available free of charge by the pool. There is a pool bar and snack bar too. 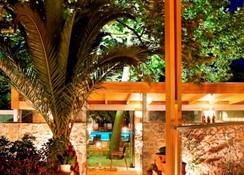 There is a lush garden where guests can take a leisurely stroll and paid Wi-Fi is available. Wi-Fi is available in public areas and costs EUR 3 per hour.